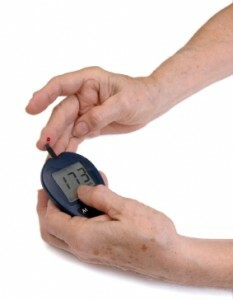 Diabetic-Lifestyle Cooking Tips – web-site: http://www.diabetic-lifestyle.com – features useful ways to cook with more flavor, using less fat, salt, and sugar. Diabetic-Lifestyle offers recipes, menus, medical updates, entertaining – practical information enhances life while managing diabetes on a daily basis. Soon enough it will be time to plant your garden. To us, that means making sure our herb garden can supply your needs for the various styles of cooking that you use in developing recipes for this website and our cookbooks. Sure, you can buy fresh herbs at the supermarket, but they are expensive and not as fresh as that just picked from the garden. Whether you plant your herbs in the ground or in pots, they are amazingly simple to grow. With just a little bit of attention, you’ll have plenty of herbs until well after the first frost next fall. Look at the list below so you’ll know what to plant: Make sure to have plenty for what you make most.